Kali graduated from the University of Nebraska in 2006 with a Bachelor's Degree in criminal justice. She moved to Raleigh after she graduated, where she worked with the law office of James West for six years. She worked as a full time real estate paralegal while attending law school in the evening, and she earned her law degree from North Carolina Central School of Law in 2015. Kali joined Lucas & Davis, PA in 2016. 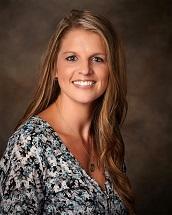 She specializes in real estate transactions, family law, traffic violations and personal injury law. Kali is married to Brandon Davis, a senior field adjuster with North Carolina Farm Bureau Insurance. She and Brandon live in Pikeville and have three children, Peyton, Graham and Aubrey.